The St Regis Washington D.C. 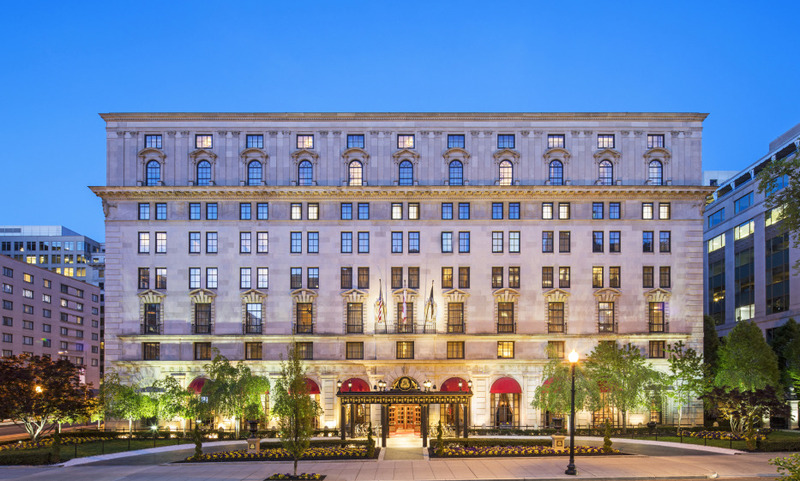 In a city of powerful addresses, the St. Regis Washington D.C. has a special place. It’s an institution almost as iconic as the White House just two blocks away but instead of crisp whiteness, the hotel is a show of Old World opulence. Ornately gilded ceilings, Italian Renaissance chandeliers and the lushest velvet armchairs and curtains….every detail of this Florentine palazzo-style grande dame tells tales of the glamorous Jazz Age in which she was built. Not to be missed while you’re here is the champagne sabering ceremony in the lobby every evening that dates back to the even more exuberant age of Napoleon. In true St. Regis fashion, a bottle of bubbly is opened using a sword and grand flourish. It’s a tradition started by John Jacob Astor IV when he opened the first St. Regis in New York and the ritual never ceases to amaze. Perfection in every sense of the word. Everyone went above and beyond, pleasant, kind, caring etc.